Beautifully finished cabin. High level of standard equipment. Extremely impressive safety technology. Smaller boot than rivals. Apple CarPlay a cost option. 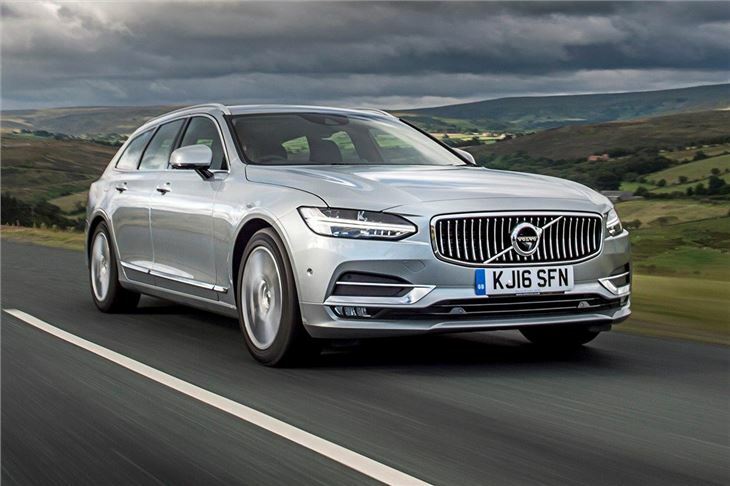 With a practical boot, a beautifully-finished cabin, generous standard equipment and some of the best safety equipment of any car on sale, the Volvo V90 is a very impressive car. 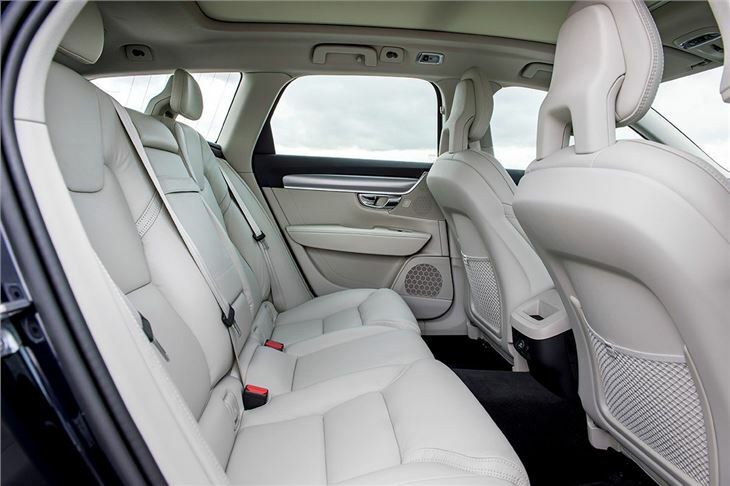 It’s family-friendly, easy to drive and extremely comfortable, making it a great alternative to the usual Audi, Mercedes-Benz and BMW executive estates. 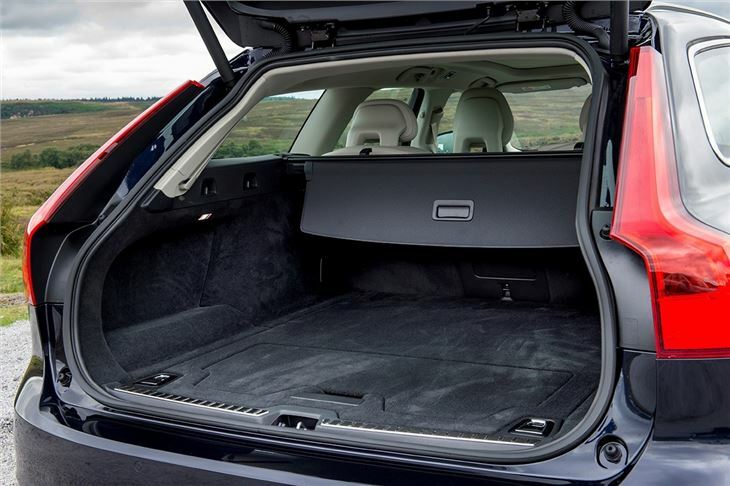 Load volume with the rear seats in place is 560 litres, which is plenty for large suitcases or trips to a garden centre – but the cheaper Skoda Superb has more boot capacity for less money. 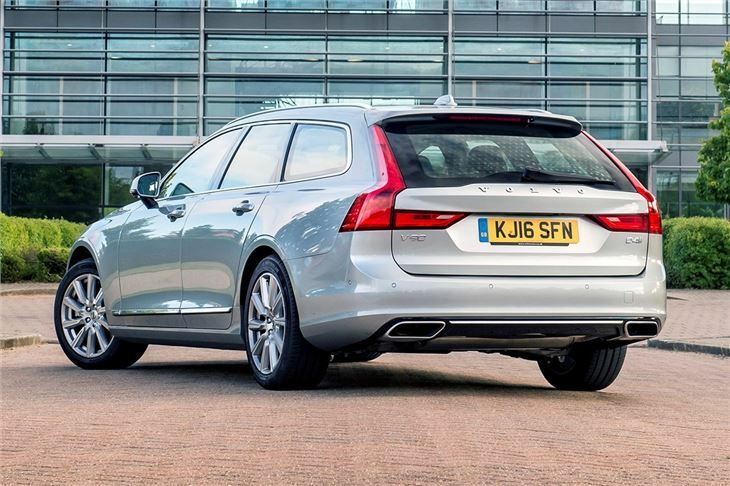 That said, the V90 is still easily big enough for most families, especially in the back row where leg and headroom is enough for adults to sit in comfort. The cabin is wonderfully finished, with leather upholstery as standard and a variety of upmarket finish options including metal or open grain wood inlays. 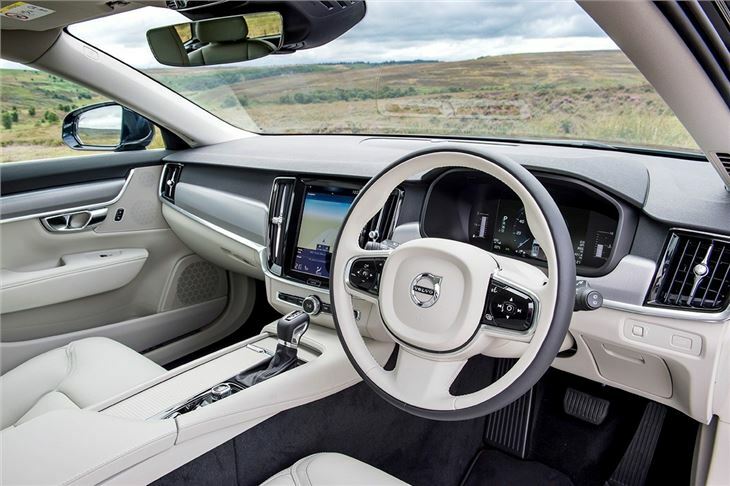 Quality is seriously impressive – the V90 feels beautifully built, with a real sense of luxury, plus it’s packed with the latest technology, most of which is controlled from a large touchscreen. The iPad style interface is intuitive, operating climate, in-car settings, connectivity and audio, with support for apps like Spotify. Navigation is standard and includes European maps and traffic updates, or iPhone owners can use their own navigation via Apple CarPlay, although that is a cost option rather than a standard feature. 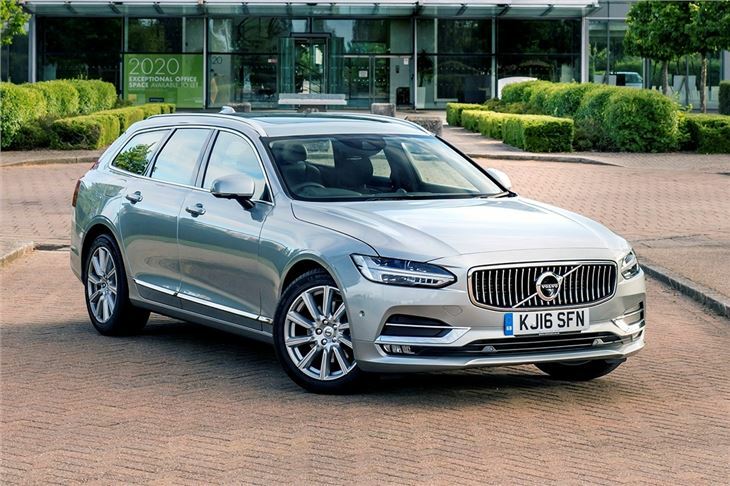 There is a huge range of safety tech fitted to all V90 variants, including a semi-autonomous driving system that assists with steering and speed on motorways. Autonomous emergency braking is standard too – and it can detect pedestrians, cyclists and large animals like deer as well as other vehicles. Power comes from a 2.0-litre diesel producing either 190PS as the D4 or 235PS as the D5. The D4 has official economy of 62.8mpg, while the D5 manages 57.6mpg. Both come with a smooth eight-speed automatic transmission as standard. There’s also a T8 plug-in hybrid version, but it's expensive. On the road the V90 feels quite big, which isn’t great on narrow country roads or in car parks, but elsewhere the car is extremely easy to drive and very comfortable, riding well over lumps and bumps. It isn’t quite as enjoyable through corners as the BMW 5 Series, but there are no complaints on a long motorway journey. 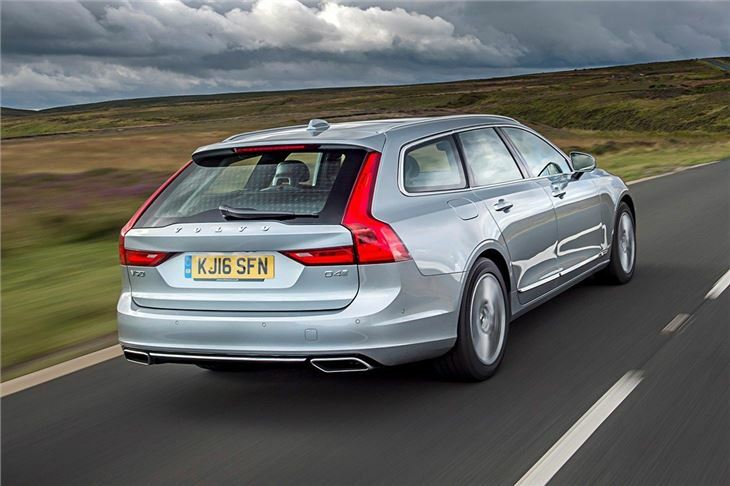 The Mercedes-Benz E-Class Estate is bigger, but it’s also more expensive, while the BMW 5 Series Touring and Audi A6 Avant aren’t quite as luxurious or well-equipped, making the V90 an extremely tempting choice, and one that is especially easy to recommend to safety-conscious family buyers. This has to be the best Volvo ever!